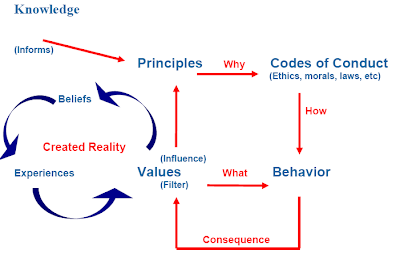 Minessence Values Framework [MVF] Knowledge-Base: Values Systems are the Strange Attractor in all Living Entities. What does this mean? Values Systems are the Strange Attractor in all Living Entities. What does this mean? A strange attractor creates a certain form of order within any complex non-linear system be it the weather, a bushfire, society, an organisation, a team or an individual person. For living entities, their values-system is their strange attractor. Why use the term strange-attractor instead of simply referring to values as attractors? The terminology comes from the study of complex systems which exhibit "order within chaos". Researchers discovered that certain entities behaved in strange ways yet their behaviours were obviously being influenced by a strong attraction to something. Attractors which led to entities behaving in strange and not entirely predictable ways became known as strange attractors. Attractors which lead to predictable behaviours were termed ordinary-attractors. Gravity is an example of an ordinary attractor. With ordinary attractors such as gravity, one can mathematically compute exactly what will happen in the future. For example, if a person drops a ball from one metre height, it can be calculated precisely when that ball will land. If understanding a strange attractor cannot be used for predictions, what use is it? While they are no use in predicting the specific behaviour of any entity, they do enable us to ask what-if questions. For example, understanding the strange attractor that governs the behaviour of bushfires is of no value to on-ground fire fighting, however, it does enable us to answer such questions as: What if there is a sudden wind change? Would a fire-break along a particular ridge be adequate? Would off-season burning reduce the risk to people's property in the dry season? In other words, when an entity's behaviour (motion, actions, path, etc.) is governed by a strange attractor, one cannot predict specifically what will happen in the future, however, one can predict the general form or nature of what will unfold. Having an understanding of a person's values-system (strange attractor), enables us to understand/predict the general nature/pattern of their behaviours. For example, a person with priority values of achievement, competition, work, financial success, etc. will be attracted by these values to behave in a completely different way to someone who has priority values of expressiveness/freedom, play, intimacy, search/meaning, service, equity/rights. Clearly in both these examples you cannot know what each person will do moment to moment, however, you will know with a fair degree of certainty the general nature of what they will and won't be doing as their life unfolds. For each person, the values-system (in it's role as a strange attractor) gives order to their life--it creates their identity/personality. 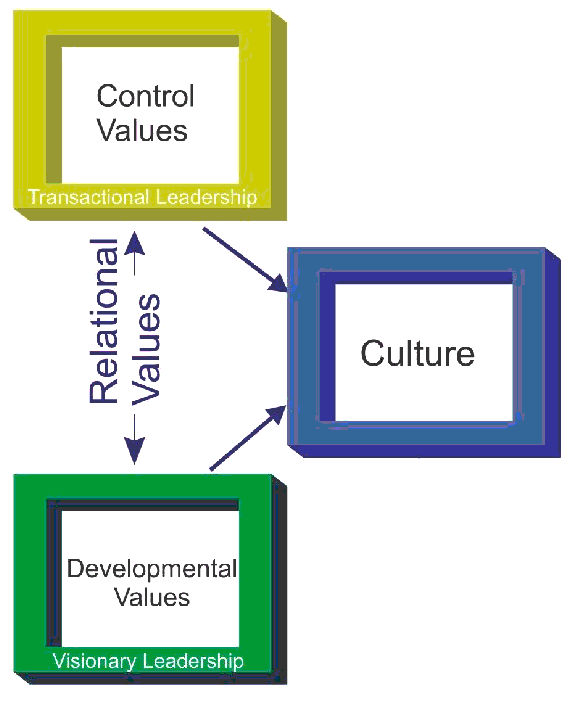 So too it is with teams, organisations, etc.--their values-system (strange attractor) creates their culture. Control Values are associated with organising the world around you so as to get things done. Relational Values are associated with relating to others so as to function effectively in relationships, teams, organisations, society and ecosystems. Developmental Values are associated with creating that which has not existed before. They are values of change, evolution and transformation. NOTE: To find out which are your CRD Priority Values, you can take an inventory of your own values at http://www.minessence.net/AValuesInventory/AVI.aspx. At completion, select SMO as the report code.